Rated highest in client satisfaction for Informatics and Clinical Documentation Improvement Software in the evolving coding software market. 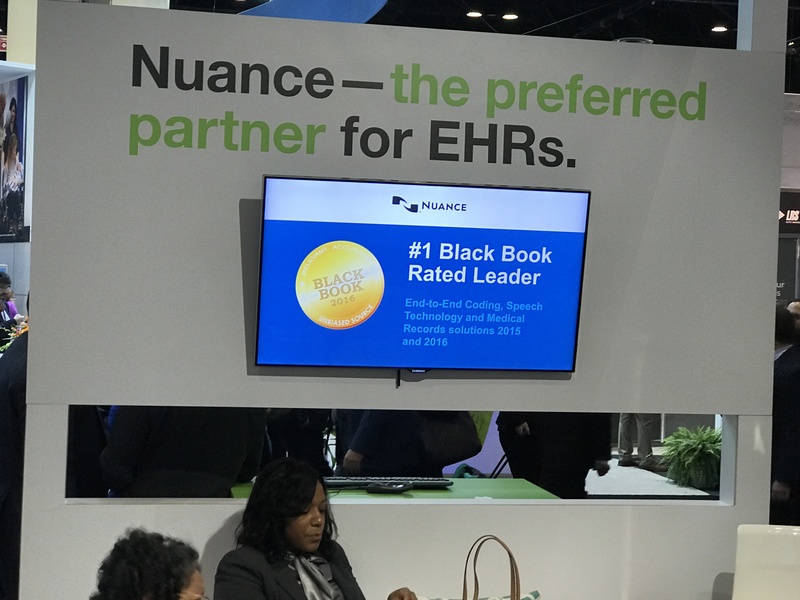 TAMPA, Fla., October 4, 2017	(Newswire.com) - Black Book Research announced Nuance Communications has been named the leading vendor for End-to-End Healthcare Coding, Clinical Documentation Improvement, Transcription and Speech Recognition Technology. The performance results emerge from the 2,920 survey responses from 256 hospitals and 2,449 physician practices. Between April and September 2017, revenue cycle and coding management professionals submitted client experience scorings. Black Book conducts polls and surveys with healthcare executives and frontline users about their current technology and services partners and awards top-performing vendors based on performance based on 18 indicators of client experience, loyalty and customer satisfaction. Overall, 83 percent of hospitals surveyed report cutting transcription costs in half or more while improving the transparency of dictation and transcription processes within one year of implementing end-to-end coding, CDI and transcription software tools. 90 percent of providers realized operational efficiencies without impacting clinician workflows. 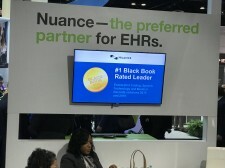 Black Book noted that Nuance's clinical documentation improvement programs for both inpatient and outpatient care are evolving to meet changing rules and regulations. The growth of accountable care organizations and the extended application of hierarchical conditions categories will continue to increase the need for CDI into ambulatory care. 94 percent of physician groups and practice associations participating in the survey confirmed the need to build successful CDI programs to meet the complex challenges of outpatient services. Additionally, 1,019 provider respondents that have not yet fully implemented or optimally using coding, CDI and transcription technology provided insight on budgeting, adoption plans, factors driving coding and transcription decisions and vendor awareness. An impressive 85 percent of hospitals confirm documented quality improvements and increases in case mix index within six months of CDI implementation. The survey of hospital technology, financial and physician leaders found coding and clinical documentation improvements are now imperative. 87 percent of hospital financial officers claim that the biggest motivators for adopting additional CDI situations are to provide improvements in case mix index, resulting in increased revenues and the best possible utilization of high-value specialists. 94 percent of Nuance clients praised the recovery efforts of the company as portions of the network server were knocked offline following a major cyberattack called NotPetya earlier this year, providing satisfying options for these customers. Other top scoring vendors as marked by currently implemented end-to-end coding and CAC CDI clients include PracticeSuite, Chartwise, 3M Health, Optum360, M*Modal, Claricode, Dolbey Systems, athenahealth, Flashcode, Aviacode and Precyse nThrive. Black Book™, its founders, management and staff do not own or hold any financial interest in any of the vendors covered and encompassed in the surveys it conducts including Nuance. Black Book reports the results of the collected satisfaction and client experience rankings in publication and to media prior to vendor notification of rating results and does not solicit vendor participation fees, review fees, inclusion or briefing charges, and/or vendor collaboration as Black Book polls vendors’ clients. Since 2000, Black Book™ has polled the vendor satisfaction across over 30 industries in the software/technology and managed services sectors around the globe. In 2009, Black Book began polling the client experience of now over 590,000 healthcare software and services users. Black Book expanded its survey prowess and reputation of independent, unbiased crowd-sourced surveying to IT and health records professionals, physician practice administrators, nurses, financial leaders, executives and hospital information technology managers. Users participated in the 2017 polls of coding, CDI, transcription and speech recognition client experience in a sweeping seven-month set including eight separate studies. For methodology, auditing, resources, comprehensive research and ranking data see www.blackbookmarketresearch.com.